I think you will enjoy this latest blog post by Dr Tim Tennent. Very encouraging. Here’s a sample: This is one of those situations where the powerless actually have the most power. The long arm of government has no power over those who have no power to begin with. They have already renounced the world. 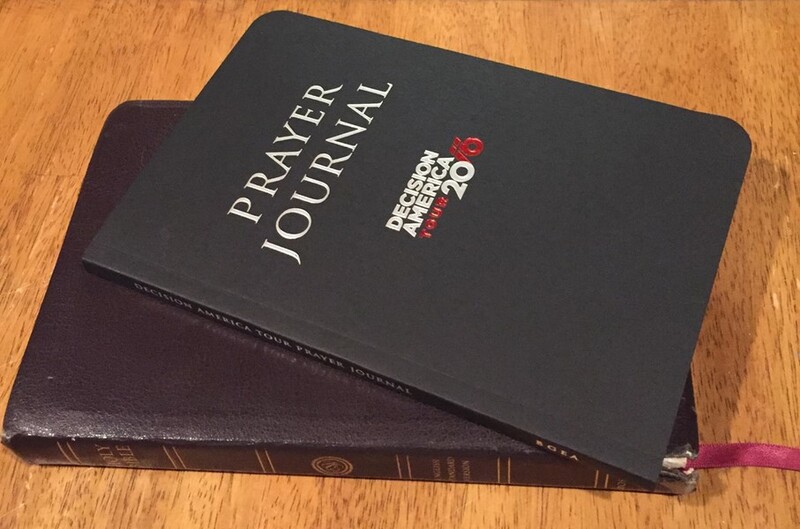 The Decision America 2016 project has provided a 30-day prayer guide for Kentucky. starting April 5th and ending on May 4th, the day of the rally here in Frankfort. You can download the full PDF from their website. They also provide some sobering demographics about Kentucky at the bottom of this web page. For example, the drug-induced death rate in Kentucky is twice the national average. Here is the guide for the first few days. I highly recommend this series of short pieces by the retired Archbishop of Sydney and GAFCON pioneer, Peter Jensen. These may also be helpful to share with friends who ask questions about the new Anglican movement. Is it Selfish to Seek Salvation? Oswald Chambers: A charge that has been made against some methods of evangelism is that self-interest is made the basis of the whole thing: salvation is looked upon as a kind of insurance scheme whereby I am delivered from punishment and put right for heaven. But let a man truly experience deliverance from sin, and his rejoicing is not in his own interests, but that he is thereby enabled to be of use to God and his fellow men. One of the great griefs of the Christian life is to look back and see how residual sin in our lives has been an impediment in the lives of others, particularly those closest to us who know us best. At some point the Holy Spirit shifts our motivation from seeking our own salvation to longing to be effective means of salvation in the lives of others. St Paul said that he would gladly forfeit his own salvation if it would mean the salvation of his Jewish brothers and sisters (Rom 9:3). Some might call this hyperbole, but I think he was quite sincere.